Sportime dodge ball is used for gym, playground, or classroom activities, and is made of 40.0kg medium-density foam for durability, straight throwing, and sting-free impact. 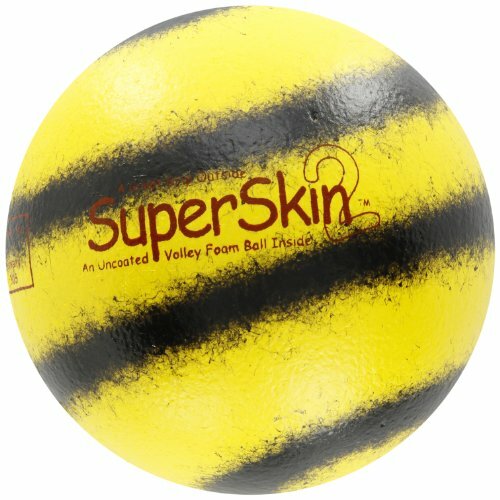 The ball has a coating to provide ease of grasp, and a black and yellow swirl design for visual tracking. The ball measures 6-1/4”/15.9cm in diameter, and is suitable for elementary and middle school grade levels. Physical education products are used by health teachers, physical education instructors, and recreational professionals to help individuals develop knowledge and skills to participate in a variety of physical activities. Physical education products include gear, such as mats, balls, nets, disks, gloves, helmets, and track and field equipment, to support gym, athletic, and recreational activities, as well as fitness and health-related toys, books, and games.